. All rooms and suites offer fresh, contemporary design blended with local Thai décor. 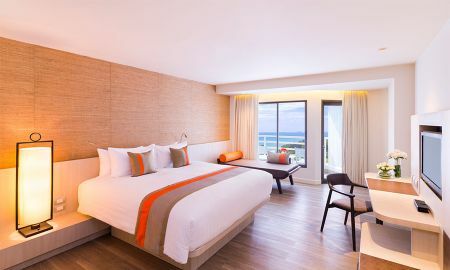 Open and spacious, most also feature private balconies and idyllic sea views while some provide direct access to the pool or to the Executive Club Lounge. At the private Beach Club, guests can enjoy chill out music by the pool or at the beach, drink cool cocktails, or choose from a wide selection of wines. Fine cuisine is also available. With an optimal location at the lobby, the Chill Out Bar offers an unlimited selection of beverages and fine teas. It is the place to hang out, chill out and get connected through the connectivity lounge. Aisawan Spa provides relaxing massage either in private rooms or in outdoor pavilions surrounded by lotus ponds. Guests can also take part in traditional batik-painting classes. Every meeting area at the Pullman Pattaya Hotel G offers state-of-the-art audiovisual equipment, perfect for business meetings and exclusive functions. 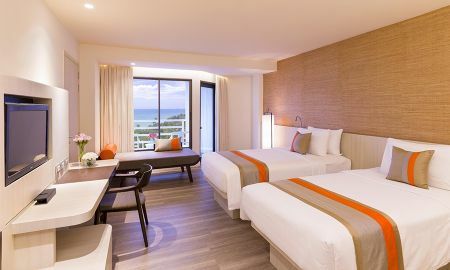 Pullman Pattaya Hotel G is less than 1 km from the Sanctuary of Truth Temple. This tropical beach retreat is a 1-hour, 30-minute drive from Bangkok. U-Tapao International Airport is 48 –minute drive from the hotel.